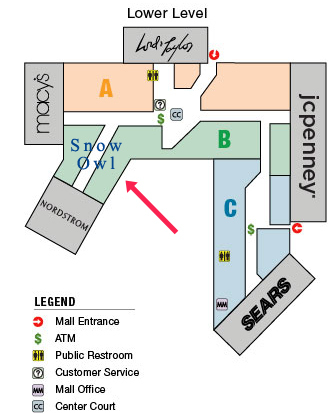 The day has finally come…after months of anticipation, my snow owl wearable art sculpture has been moved to Columbia Mall in Howard County Maryland. 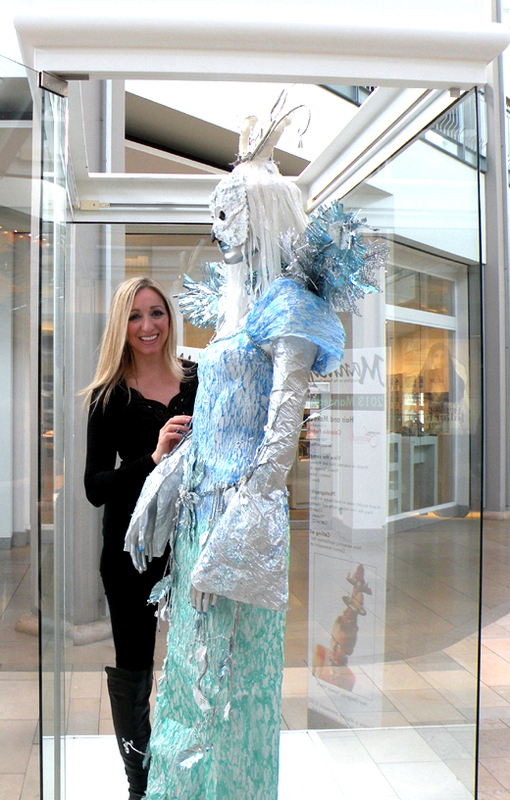 We arrived at the mall bright and early before the stores opened to begin placing her into her new temporary home. Since she is made entirely of paper and natural elements, it was a very delicate procedure to make sure it did not tear or break. It was very windy today so I did have to fix a few things that got caught in wind gusts before she was ready to be displayed. 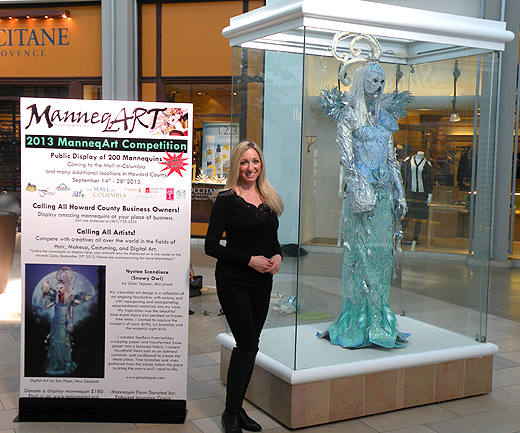 I was very honored to be the designer asked to create the first mannequin to represent the ManneqArt contest. This is the case we were given to display my snowy owl design. 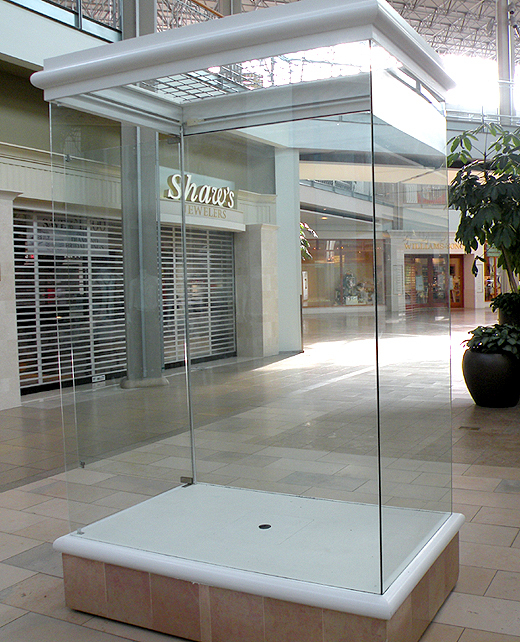 It is in prime location in the mall. She had to be dismantled in order for her to fit in the truck. She looks very sad without her arms. I had to do some last minute repairs to her branches and dress that were slightly damaged during the move. I look like a burglar who broke into the mall and was stealing her out of the glass case. I guess that is what wearing all black will do to you. 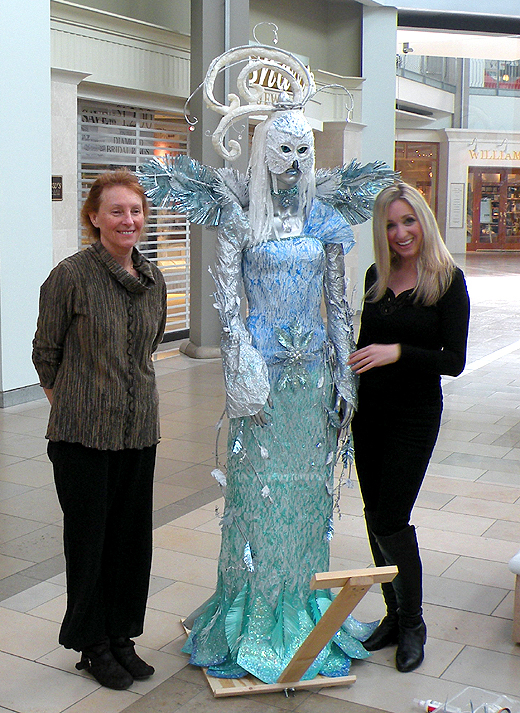 Here is fashion designer Lee Andersen and President of ManneqArt and I are hanging out with the snow owl before she is encased in glass. She is ready to be displayed. 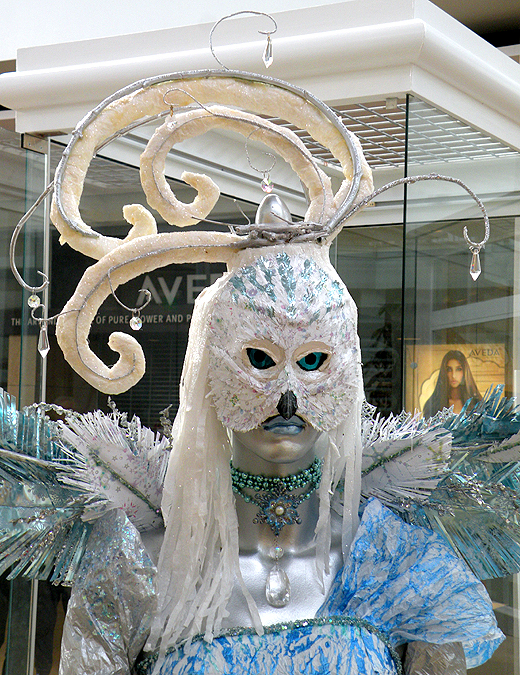 She looks very regal…like a snow owl princess. We moved her into the case. I climbed in with her to make some final adjustments. Being in the glass case made me feel like Houdini. Here is the finished display. 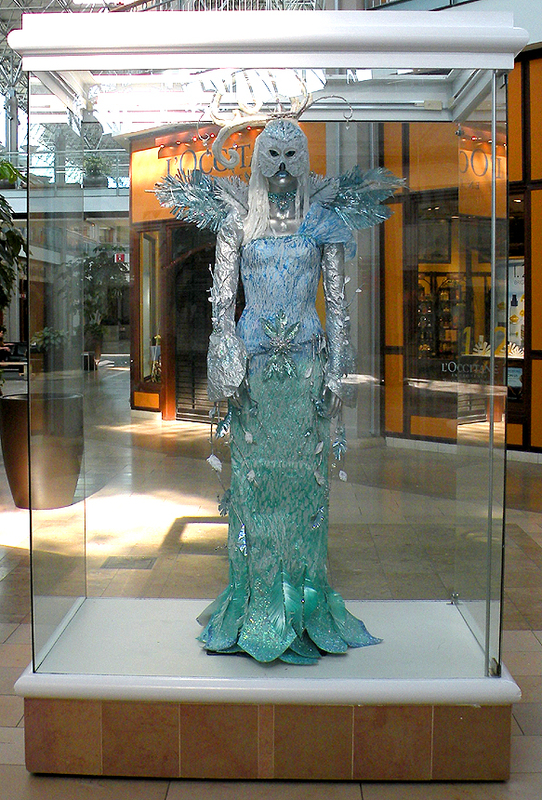 She is on the lower level of the mall near Nordstrom and next to one of my favorite stores, Caché. If you live in Maryland and happen to visit her, let me know what you think. 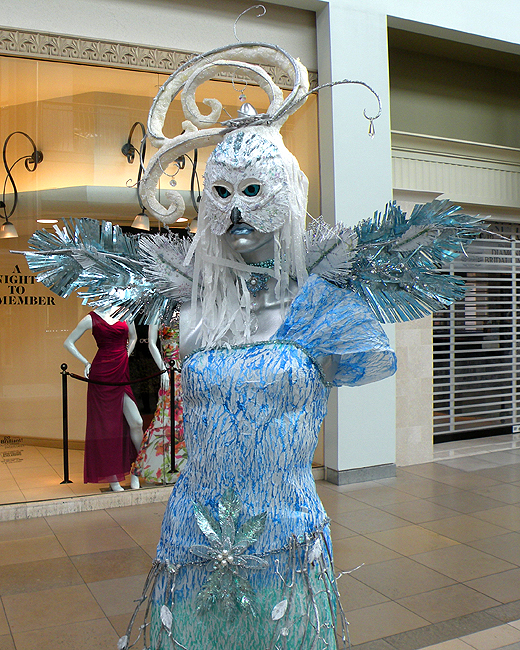 This entry was posted in Crafts, Everything, Recycle and tagged Columbia mall, Gina Tepper, ManneqArt, paper dress, snow owl, wearable art, wearable sculpture. Bookmark the permalink.